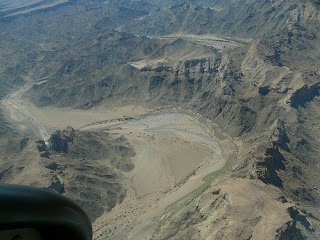 Decided to fly over Fish River Canyon, about one hour south west, towards Lüderitz. 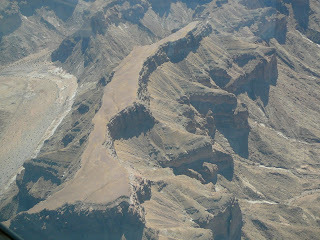 I planned to stop at the Canyon lodge (FYKC) first, to have lunch, and ask the local pilot about flying over the canyon. Upon arrival (thanks, GPS), I flew over the airfield from the north, checked the wind, and turned left to enter a left pattern for runway 18. 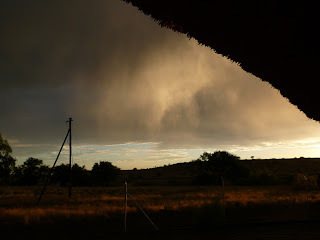 It is common practice to overfly the lodge to alert them that one will land, so they can send someone for pickup (walking is not recommended - it is hot, and at some places there are all sorts of hungry animals between the field and the lodge). According to my approach diagram, my route was supposed to bring my over the lodge, but I didn't see it. As it turned out, the approach diagram was wrong, and the lodge actually on the other side of the field. Fortunately the other plane has arranged for a pickup and overflown the lodge on the other side, so we are soon picked up. 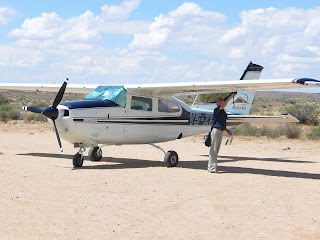 The other pilot, Rachel, is a commercial pilot for Desert Air, and has 5 passengers, French tourists. We have lunch together. 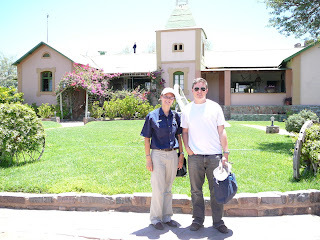 Note the beautiful sunglasses that I have bought in Keetmanshoop for about 2 EUR. And we drive back to the airfield. 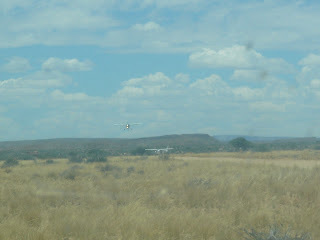 Takeoff from FYKC (Canyon Lodge at Fish River Canyon, Namibia). 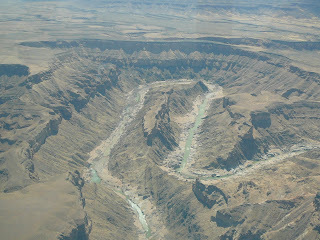 Fish River Canyon from about 3500ft MSL or 1000ft AGL. 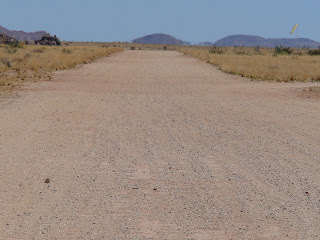 Back in FYKT (Keetmanshoop), I have the fuel tanks filled up, and quickly go inside the airport building for a weather update for my next flight to Olifantwater. Within minutes, a thunderstorm builds up, heavy rain starts, and I run to secure the plane (control locks, chocks). Totally soaked I wait, and wait. At 17h, the airport closes, and the very friendly lady from the fuel station (she's been running this business for 44 years) offers me a ride to town - I am not leaving today. 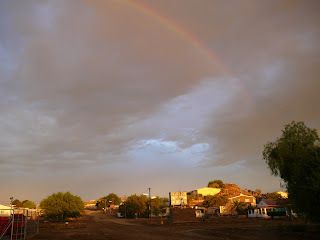 A beautiful evening compensates. 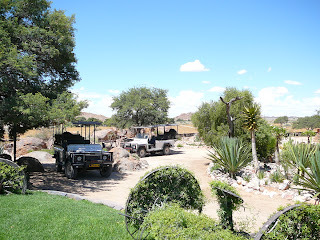 And, here in Keetmanshoop I eat the best steak I have ever eaten. 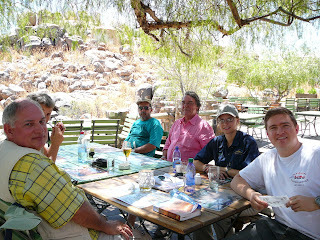 Fantastic food, both at the Schützenhaus and the Central Lodge. 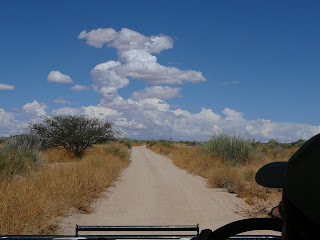 Fish River Canyon: FYKT-FYKC-FYKT was published on November 30, 2006 .